An award-winning former principal and superintendent, Kenneth Baum is an expert in school design, strategic planning, and leadership. His experience leading in both the district and charter settings has given him a deep understanding of today's leadership challenges. Baum served as a superintendent of charter schools in Brooklyn, New York, from 2012–14, where he successfully overhauled the leadership teams of several schools and significantly improved teacher quality. Prior to district level work, in 2004 he founded the Urban Assembly School for Applied Math and Science, a non-selective public school in the South Bronx serving grades 6–12. Located in the poorest congressional district in the United States, the school had a 95 percent four-year graduation rate, with 70 percent of its graduates matriculating at four-year colleges. Baum was awarded a Cahn Distinguished Principal Fellowship by Columbia University in 2009 and received a 2012 Brooke Russell Astor Award for public service from the New York Public Library. He holds a bachelor's degree in English from SUNY-Binghamton and a Master of Science degree in Mathematics from Syracuse University. 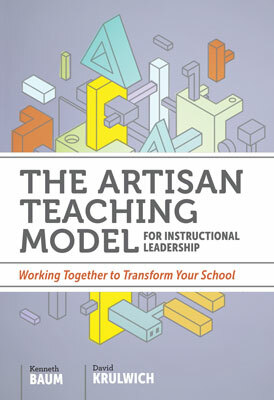 Intensive collaboration among teachers helps develop the broad range of skills they need to become true artisans who know how to help every student achieve.